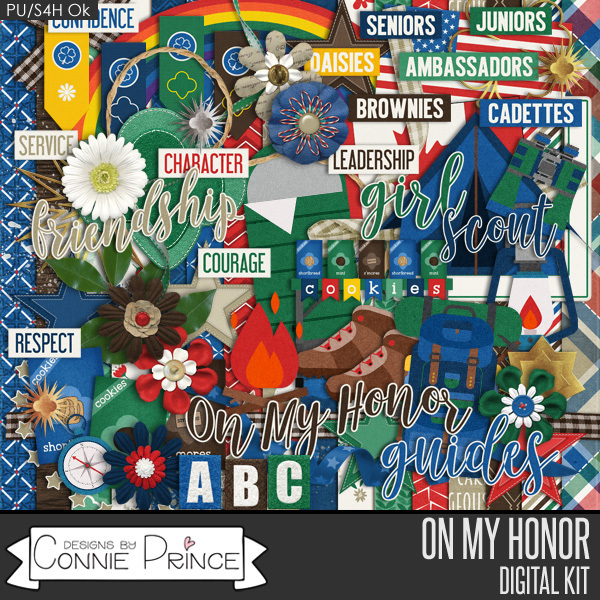 Today’s new release from Connie Prince is a wonderful collection called On My Honor. It’s a girl scout themed collection. Check it out! Jessica and Janette participate in American Heritage Girls, which has some similarities to Girl Scouts, but is more Christ focused and community serving. 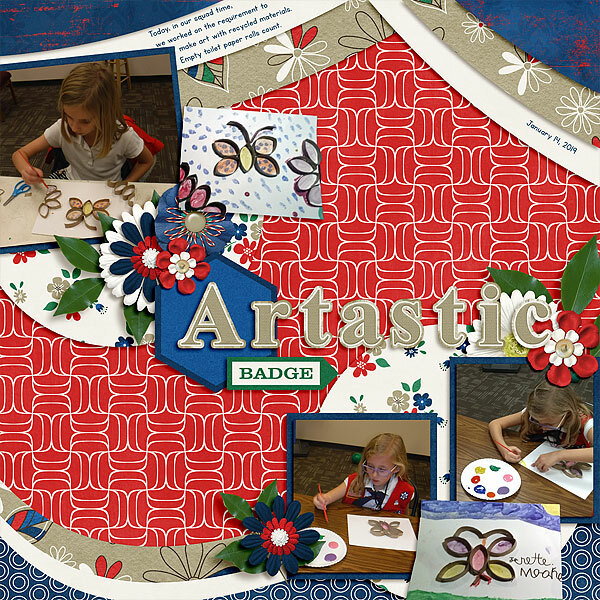 I documented some squad time when they worked on their Artastic badge. This badge had a lot of requirements and took a while to complete. I’m pretty lucky to be one of their leaders and can snap pictures. Some people count down until a big family vacation; others have a running countdown until they’re assigned to their mission. Whether you’re a young missionary documenting your service or a family member scrapping their letters home, you need Called to Serve. This kit from Scraps N Pieces has everything you need to take you from the initial call, through training, and for the whole of your period of service. Regardless of where your mission takes you, everyone needs a map (or map-printed solid papers), suitcases, a bicycle, a passport, and some very important books. 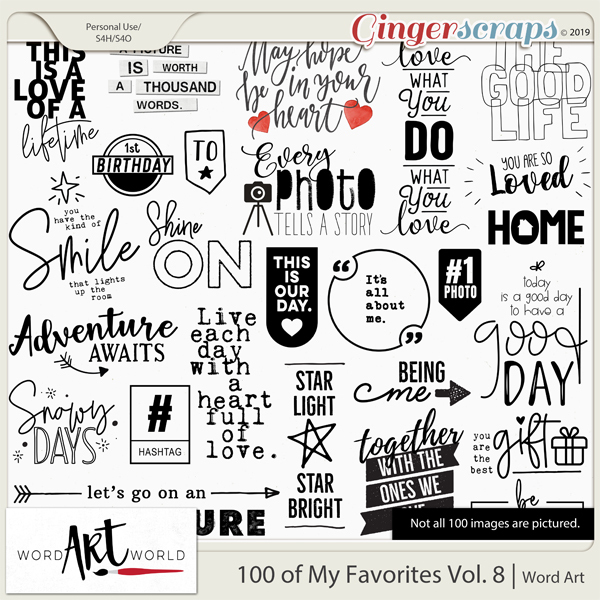 This scrapbooking kit also comes with plenty of date stamps, thematic word art for every step of the journey, journaling cards, decorative patterned papers, and a title-worthy alpha. If you feel as driven to document as to teach, you need Called to Serve. 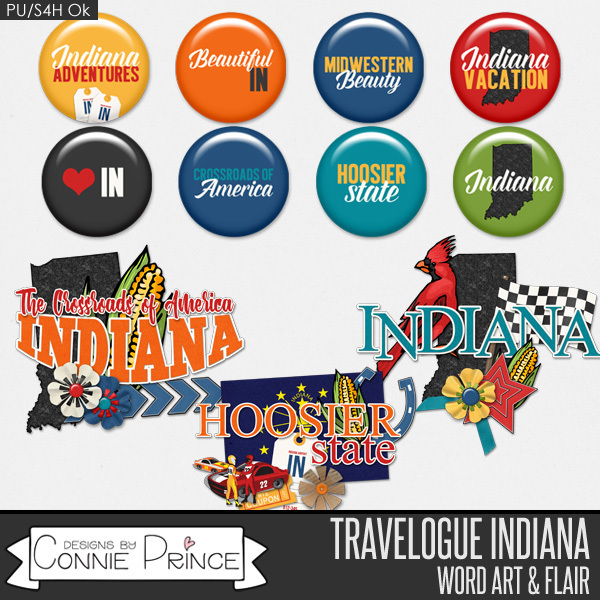 You can get it for 50% off at GingerScraps HERE and MyMemories HERE through April 18th. 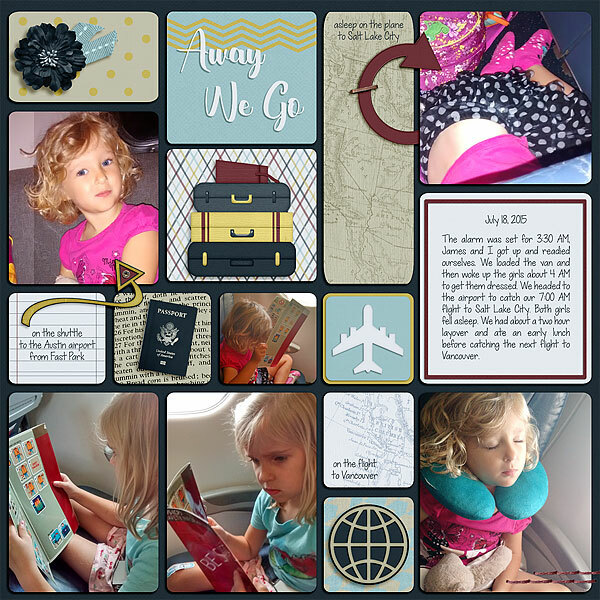 I decided to scrap some photos from our 2015 vacation. 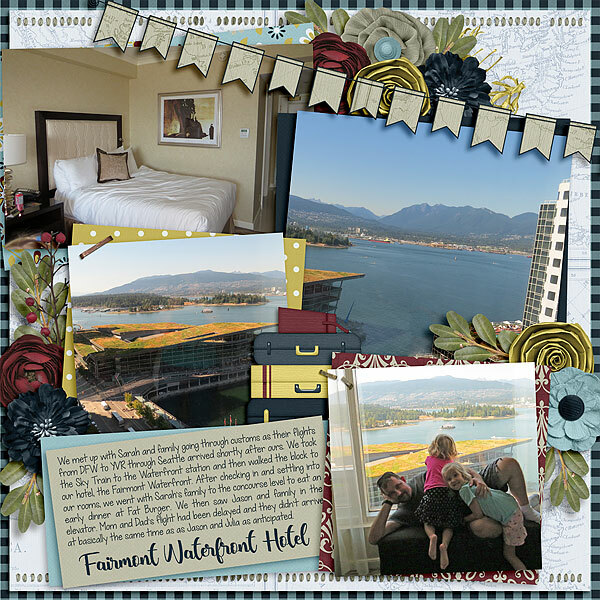 The first page documents the travel to Vancouver and the second is about the hotel we stayed at before our Disney cruise. WARRIOR PRINCESS by Magical Scraps Galore is a magical collection inspired by the Chinese legend of Mulan. In gorgeous shades of red, pink, purple, turquoise and gold, this collection captures the Oriental charm featuring beautiful elements such as lanterns and dragons, parasols and hand fans, a Chinese temple and gate, Mulan and her sword, chopsticks and straw hats, among many other fabulous goodies and patterns. 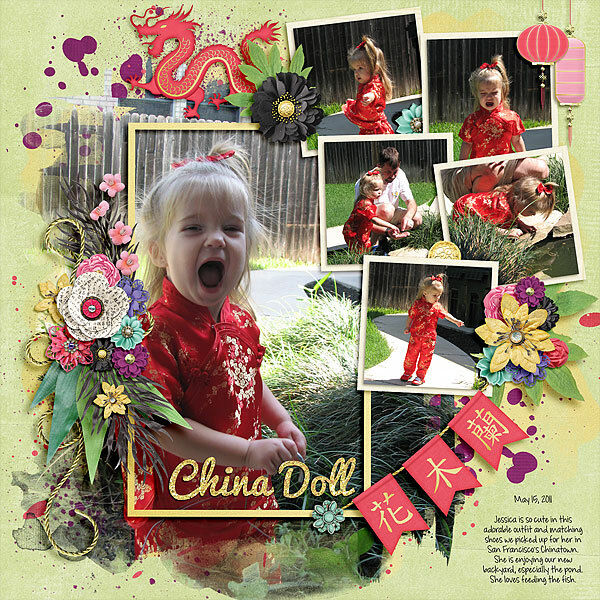 This is the perfect collection to add some Oriental flavor to your pages, whether you are documenting a Princess meet and greet, your visit to the Chinese pavilion at Epcot, a trip to China, your heritage, and so much more! You can find the full collection at 58% off -or the individual kit and add-ons at 40% off– through April 14th at GingerScraps! Initially, I was going to scrap some Epcot pictures, but then I realized we skipped the China pavilion. Instead, I scrapped some photos from the trip James and I took to San Francisco in 2011 and the outfit we bought for Jessica while there. We also have a fun cluster to share, made by CT member Lisa! Visit Marina’s blog HERE to download and enjoy! 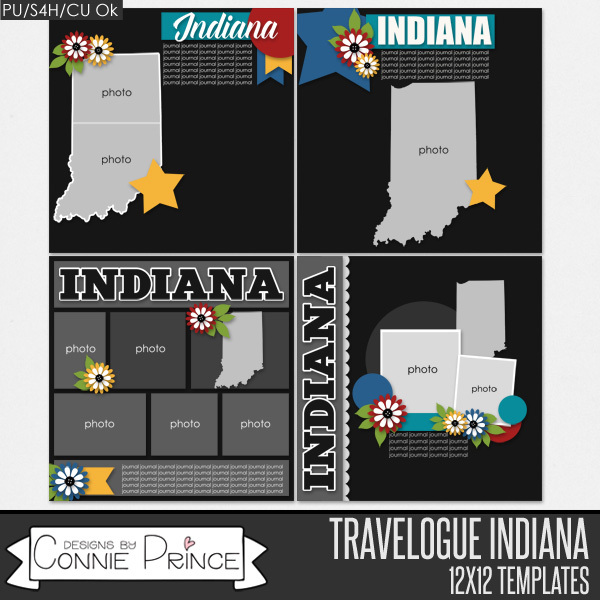 Connie’s latest installment in her Travelogue series is Indiana. I have only been in Indiana for about 45 minutes twice, when James and I drove to/from Michigan from Chicago. 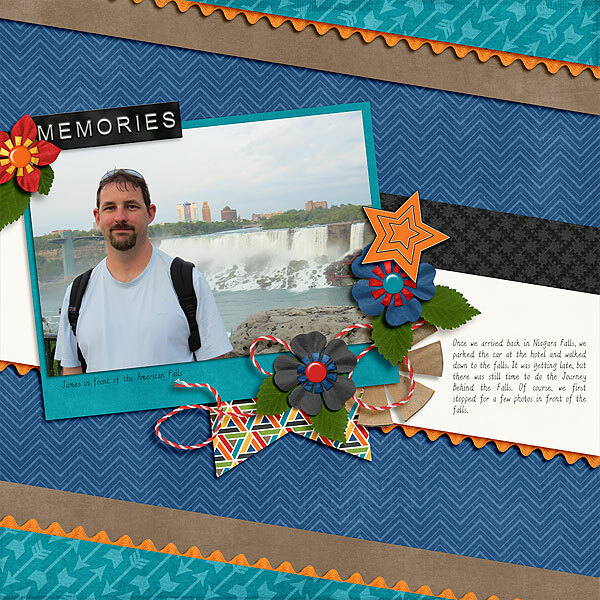 I still have a number of pages to scrap of the getaway James and I took to Rochester and Niagara Falls and since I used the Travelogue New York kit for many of them, I thought Travelogue Indiana would work perfectly to continue documenting that trip. 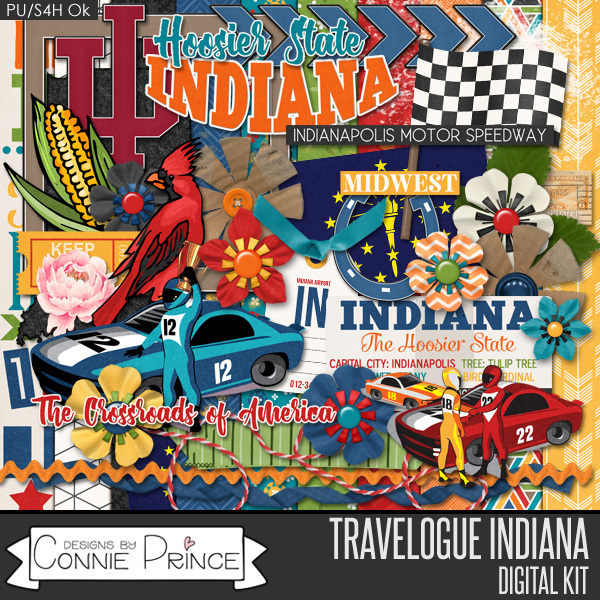 All the Travelogue series coordinate, which is one of the things I love about the series. 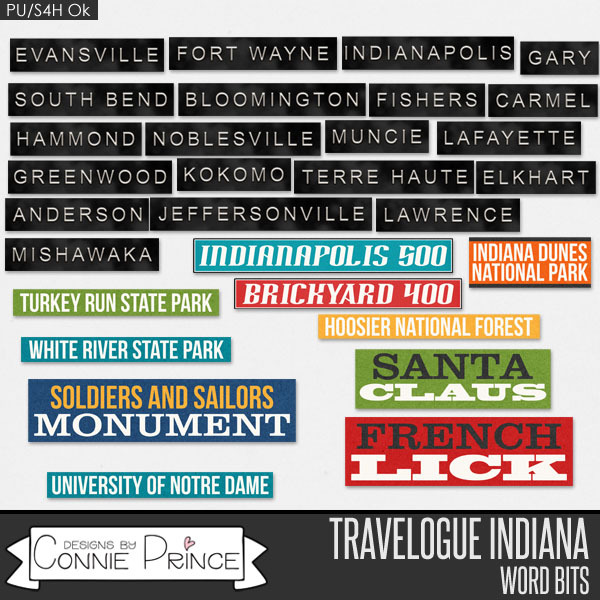 Jennifer of Word Art World has been busy and this is one of her new word art packs available. It has lot of really awesome word art. 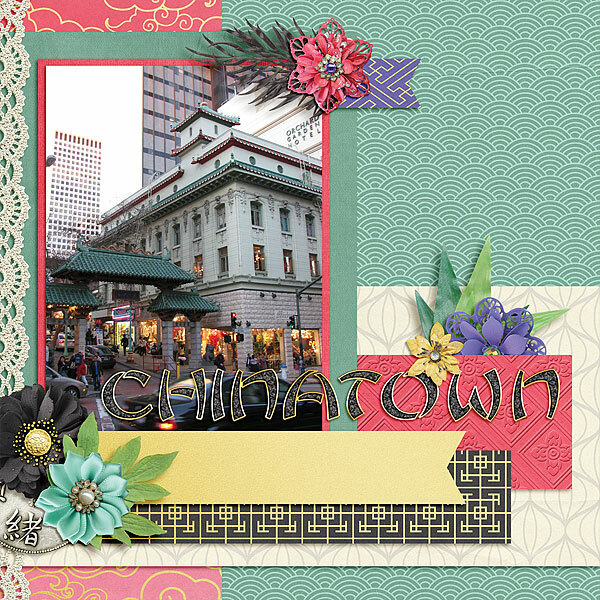 This is my second layout using the I Am Silly kit from Scraps N Pieces. Jessica had this footless pajamas as a baby and a matching receiving blanket that had little giraffes and elephants on it. It was so cute, she had it in two sizes. It was one my favorite outfits. The kit made me think it and of course Jessica is very loved, so I know that would be the perfect word art.